“If there is any facet of my work that I feel was kissed by angels, I’d say it was my books. My other work is definitely tied to a tradition, but I’ve never followed tradition in my books.” Ed Ruscha, in an interview with David Bourdon in Art News, April 1972. 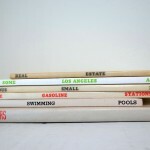 Twentysix Gasoline Stations was Ed Ruscha’s first artist’s book. In the early 1960s, Ruscha experimented with self-publishing his artwork, as a cheap, portable way to make his work available to a broader public than the gallery and museum world allowed. Most of his books could be considered conceptual works, consisting of compilations of photographs and little text or plot. In his first book, Ruscha photographed a series of ordinary-looking gas stations located along the drive from Los Angeles to his childhood home in Oklahoma. In an interview with John Coplans in the February 1965 issue of Artforum, Ruscha describes one of his purposes in making books was the creation of a mass-produced object that had a commercial, professional feel. He even started his own publishing company to ensure complete control over the finished product, despite that he admitted to losing money as a publisher. 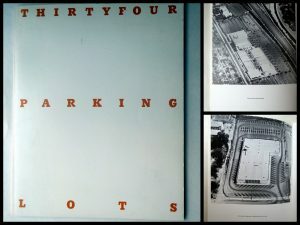 Characteristic of many of his artists’ books, the black & white images in Twentysix Gasoline Stations are grainy, and the book is cheaply bound. In that first printing of 400 copies, he spent months planning and rearranging the format. He sold each for about $4, and when he sold out of the first run, he simply printed a new edition. Ruscha experimented with different variables in his later books, playing with color, changing the format and material, and even adding a random chunk of blank pages to a few examples. 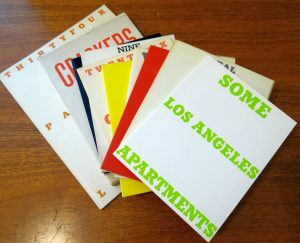 Ruscha also worked with narrative in his artists’ books. 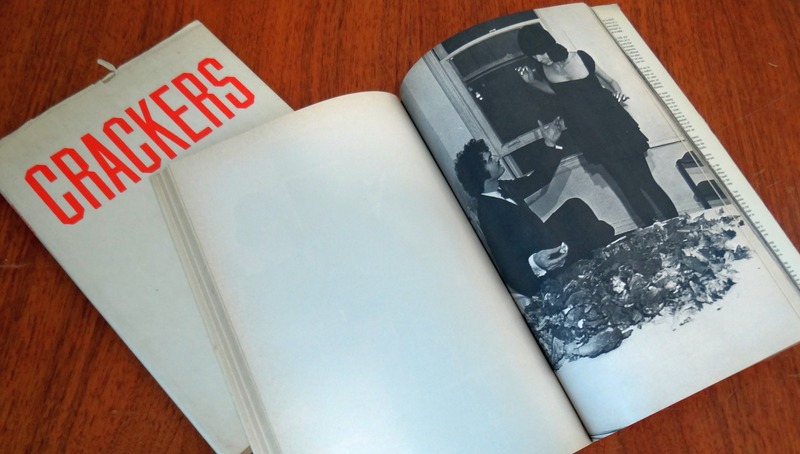 His 1969 book Crackers is based on a short story by musician Mason Williams, “How to Derive the Maximum Enjoyment from Crackers,” which is printed in tiny text on the back cover. Photographed as though it were a collection of film stills, it served as the basis for Ruscha’s 1971 film “Premium”. Without words, the black & white photographs feature a man making preparations in a cheap hotel room before picking up his date for the evening. The date must have gone very well, since he and the woman end up at the hotel. The man then manages to coax the confused woman into lying in the hotel bed covered in lettuce, tomatoes, cucumbers, and olives, and proceeds to pour a large bucket of salad dressing over her body. The man finds he has forgotten crackers to top his “salad” and leaves the woman in the bed while he goes to the store and purchases a box. The final scene shows the man having checked himself in to a much ritzier hotel room, lying alone in a much nicer bed, smiling and eating his crackers. One can’t help but wonder what became of that poor, oil & vinegar-soaked woman. 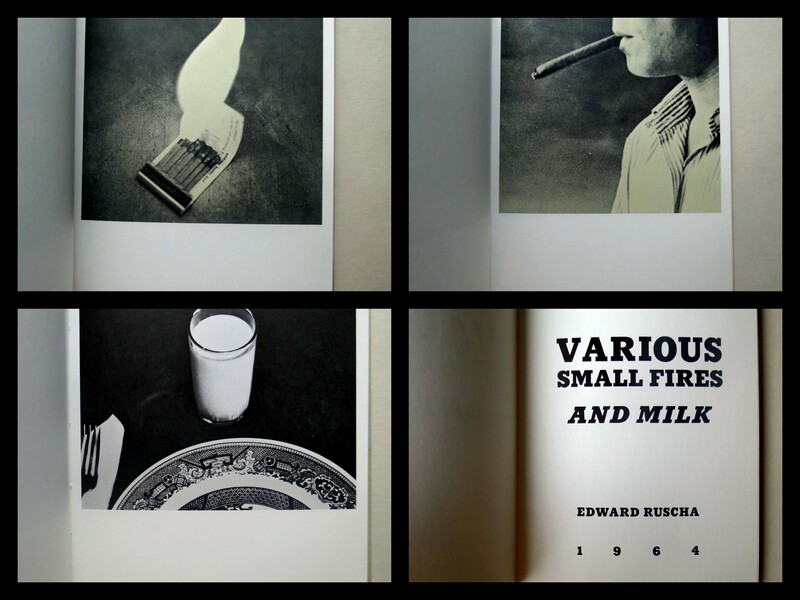 Similar to Crackers, many of Ruscha’s books feel tongue-in-cheek with a strong sense of irony. For example, other artists’ books by Ruscha include Thirtyfour Parking Lots (1967), which incidentally only has 31 parking lots pictured. Various Small Fires and Milk (1964) is filled with images of “small” fires (a lit match, a burning cigarette) and ends with a photograph of a glass of milk. 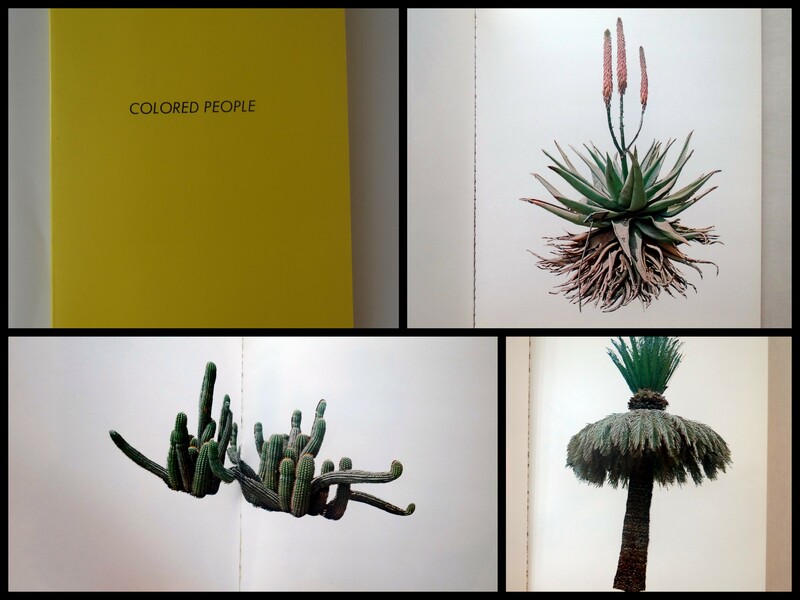 Colored People (1972) is a small book containing colorful photos of cacti. “Leave any information at the signal : writings, interviews, bits, pages” by Ed Ruscha, edited by Alexandra Schwartz. Artist/Author: Contemporary Artists’ Books. Eds. Cornelia Lauf and Clive Phillpot. Ed Ruscha resources via the Hirshhorn Museum and Sculpture Garden website.